The Castilian crown’s conquest of the New World advances unabated. Charles 5th wants to Christianize the remote parts of the empire and, to this end, the Council of the Indies decides to send the first caravan of women in history to the Americas; eighty maidens are chosen from among the best noble families. 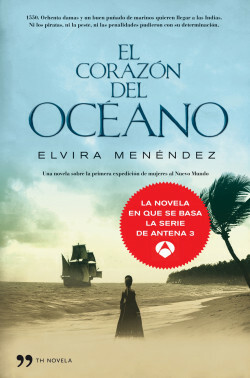 Hoping to turn their fortunes around, the women embark to find a Christian marriage with a conquistador and start a lineage, but they will have to confront all manner of difficulties: pirate attacks, storms, the plague, and the problems that come with living in a world designed for men. A novel about the first women’s expedition to the New World in 1550. Eighty noblewomen travel to the Indies to become wives to the conquerors. Hardship, pirates and even the plague will leave them undeterred.